To further our fantastic work with Flint High School, we recently collaborated with GwE to deliver a day filled with fun and learning. By combining practical thinking, exploring themes such as mindset and confidence, as well as climbing and adventure pursuit, the students felt more connected than ever before. The pupils from Flint High School shared their raw and honest thoughts about their time in education with over 70% of the group stating that they did not enjoy school. Common issues such as overthinking and a lack of confidence seemed to plague the majority of the students, leaving them feeling vulnerable about what their future might have in store. Sid delivered part of our ground-breaking education programme to help the students have a better understanding of who they are and what they all have in common. By implementing new tools to benefit their learning experience as well as discussing the importance of values, the students were able to feel more motivated to find their own success as well as more confident in themselves. The students have collectively reported that they felt considerably more confident after leaving our sessions, with one pupil stating that it had also “made [him] want to be more successful.” Confidence rose by 32% by the end of the session, with 71% of the students feeling more positive about who they are. The teachers that attended the session felt as though it was a great chance for the pupils to connect with each other away from school, embracing differences and celebrating their resilience. In an age where as a society, we want and aspire for more than ever before, it's essential that these students and many just like them are given the chance to put aside their troubles and focus on their own accomplishments. By taking part in a group cave exploration and tackling the high ropes as a team, the students strengthened classroom bonds as well as making lasting memories. 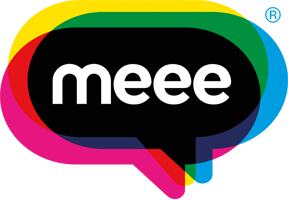 Alli Jamieson, Assistant Head Teacher, has been working closely with the Meee team as we aim to implement our Education programme throughout the school and in particular, during PSE sessions. The pupils from Flint High School faced their fears by discussing their weaknesses in front of their peers as well as venturing on the challenging cave walks. It was a huge success for both students and teachers alike. It gave everyone involved the chance to really unwind, have fun and set aside feelings of anxiety and stress.